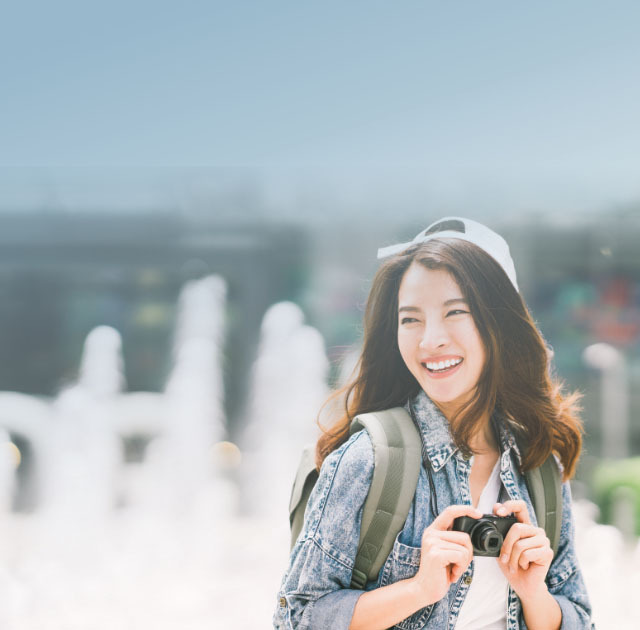 Travel InsuranceTravel without worry with RHB Travel Insurance. Travel with our best plans. Coverage from East to West or vice versa in Malaysia. Medical expenses and other necessary expenses such as hospitalisation, alternative medicine, post-hospitalisation treatment, compassionate visitation and child care benefits are covered depending on the plan selected. If your flight is overbooked and you are denied boarding on a commercial scheduled flight, this plan compensates you RM500 every 4 hours until your next available flight. Covers unexpected accidental death or permanent disability up to RM500,000. Get compensation against mishaps such as trip cancellations, curtailments or travel delays during your trip. Set aside your worries and just enjoy your vacation. When emergency strikes, stay calm as medical assistance is just a phone call away at +603-7965 3833. Our appointed medical assistance provider is available 24 hours a day, 7 days a week, 365 days a year to service you when you are abroad. Note: Terms and conditions apply. Please refer to policy documents for full details. You’ll be provided full coverage wherever you are in the world. Our appointed 24-hour travel assistance provider is just a call away if you find yourself in a difficult situation abroad. We’ll reimburse you for expenses incurred if you need to be evacuated to the nearest hospital or need to be transported back to your home country. We’ll pay off your outstanding credit card expenses incurred during your trip in the event of death or permanent total disablement due to an accident. If your house in Malaysia has been broken into while you were on vacation, we’ll make a lump sum payment for any loss or damage to your household contents. All Malaysians, Permanent Residents, Work Permit Holders, Employment Plan Holders or otherwise those legally employed in Malaysia who are between nineteen (19) and eighty (80) years old (both ages inclusive), for insured adults and dependent children between fifteen (15) days and nineteen (19) years old (both ages inclusive), or up to twenty-three (23) years if they are still studying, unmarried and not gainfully employed.